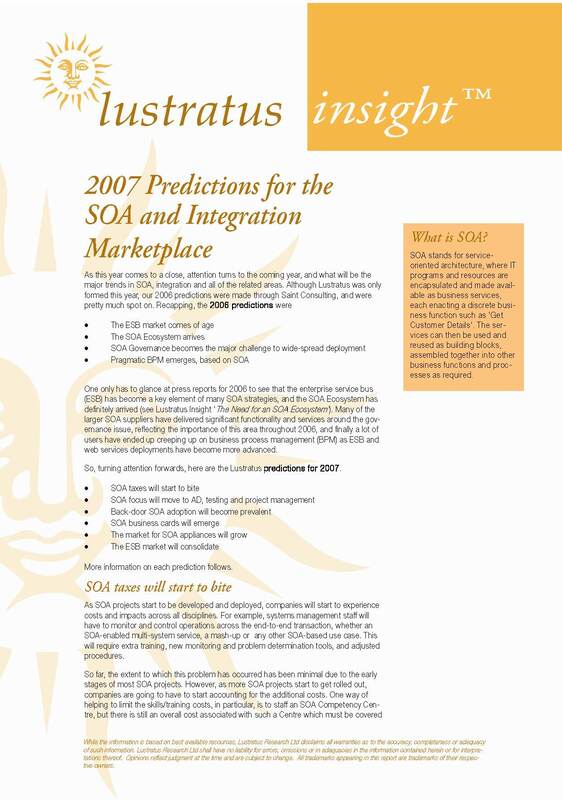 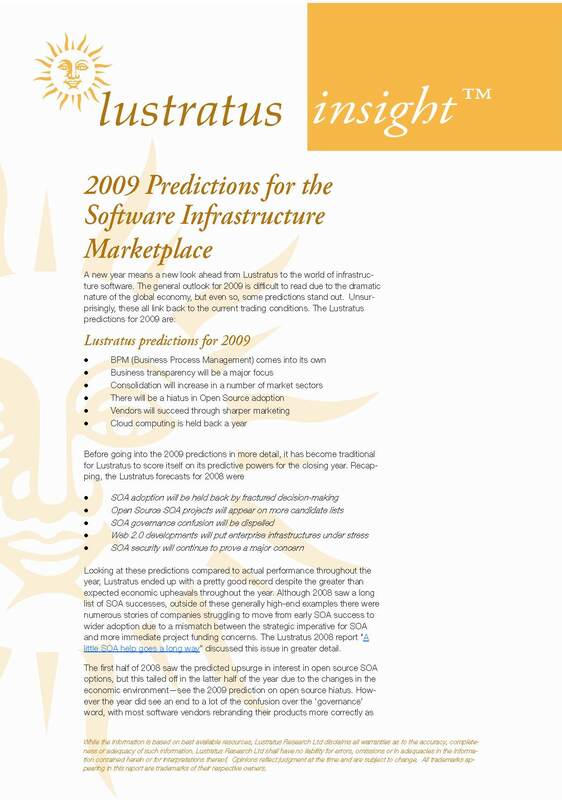 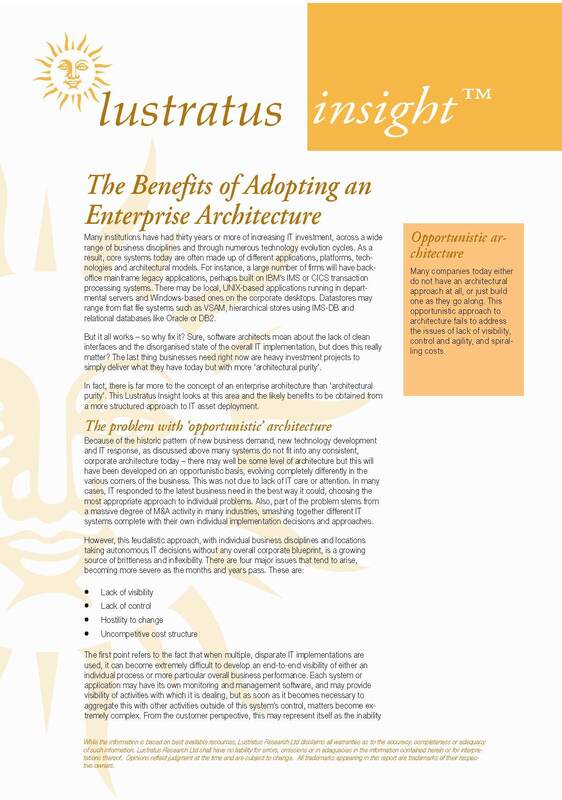 Since 2007 Lustratus has produced its forecast for the middleware market for the coming year; this is the 2015 forecast. 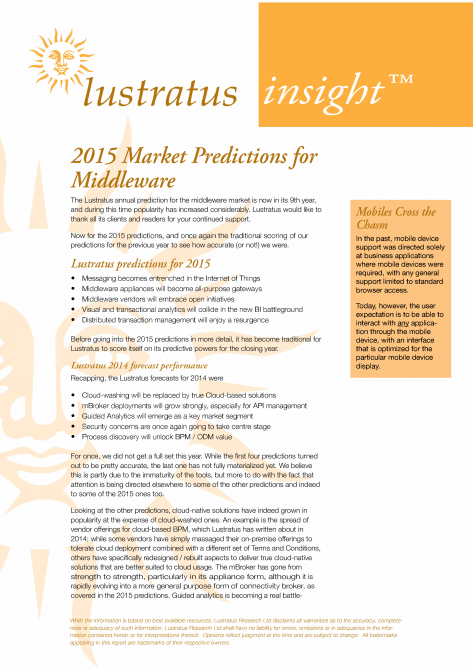 Uniquely, Lustratus also starts each forecast with an assessment of the accuracy of the previous year’s set, so if you want to find out how we did last year or just want to see what we see as the key trends for 2015, read on. 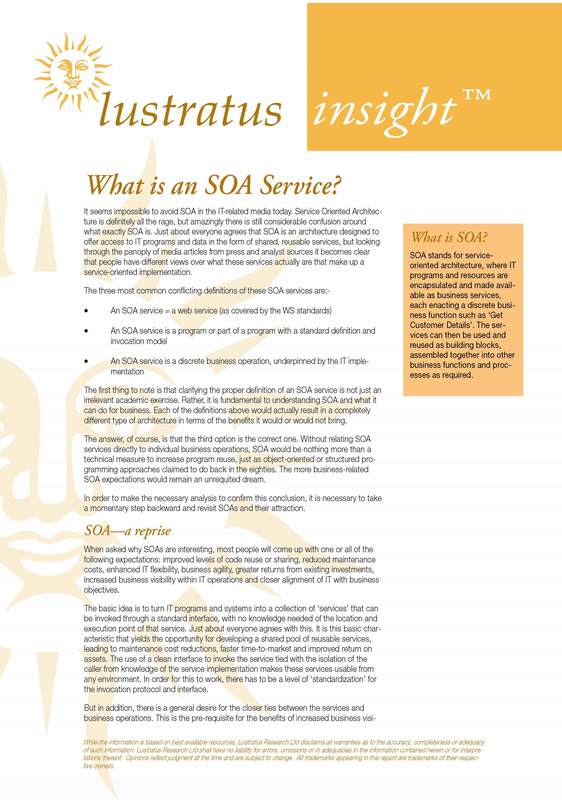 What is an SOA Service?